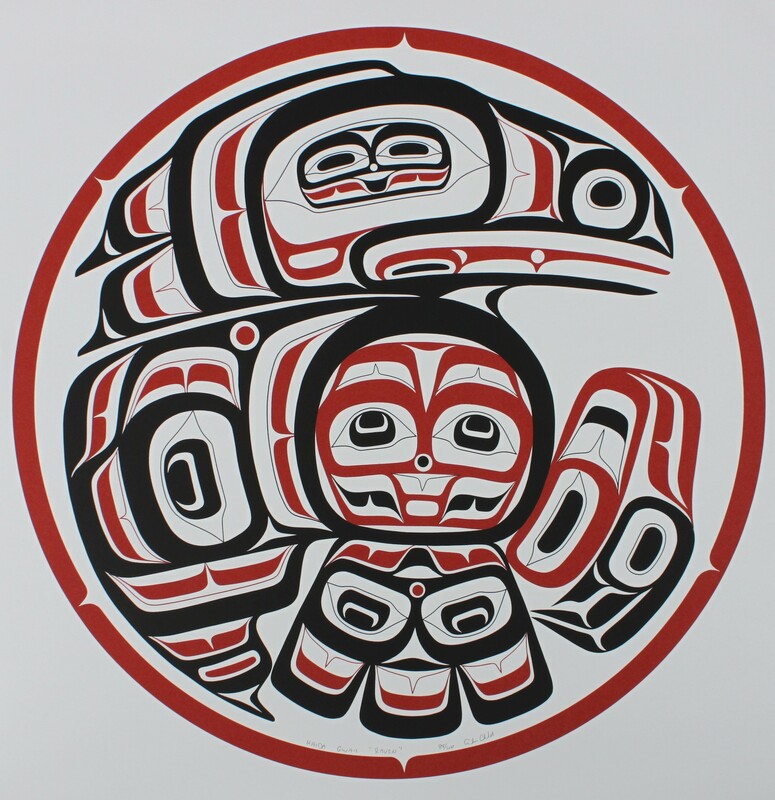 "The Haida Gwaii Raven is one of three family crests that belong to the Marks family (Alvin's great-grandmother was Sharlet Marks). The Raven is believed to be the finder of humans. It is believed that he was the one who opened the shell that contained human life. The Raven is also known for being a trickster, because of all the tricks and games that he plays on others. The human characteristic in this print is in the chest of the Raven, as well as in the tail feather." 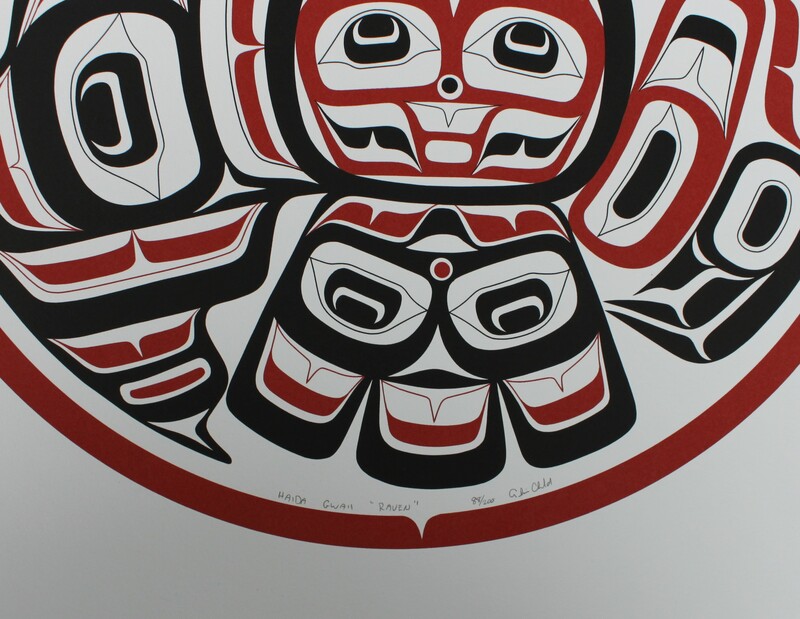 This limited edition silkscreen print titled "Haida Gwaii Raven" by Alvin Child was hand produced by the screen printing process. It is the only limited edition printing of this design. The artist has inspected and signed each copy in the edition. All trial copies of this edition have been destroyed and the printing stencils obliterated.